JMS Naval Architects is a specialty maritime engineering firm providing naval architecture, marine engineering, marine surveying, and marine casualty response services to assist ship owners in the management of their fleet. With a unique combination of high-end analytical engineering expertise and practical deck plate experience, JMS employees develop innovative and cost-effective solutions to complex problems. The work environment offers exposure to a wide variety of projects and encourages creativity. The position requires an engineering degree in the marine field and a strong passion for anything that floats. Some travel and fieldwork is required and candidates must have the ability and desire to climb around ships from the bilges to the mast. Some project assignments may require a valid driver’s license, current passport, and/or TWIC card. Applicants must have unrestricted authorization to work in the United States. JMS provides an environment encouraging professional development and employees are expected to demonstrate personal initiative with the goal of continuous improvement. Employees are expected to work well independently with a minimum amount of supervision and in close collaboration with all other team members. Employees play an active role in technical, project management, and business development functions. Employee’s responsibilities come with the opportunity to contribute towards the creation of innovative engineering solutions for our customers in the maritime industry. JMS offices are located along the Mystic River in downtown Mystic, CT, halfway between Boston and New York. 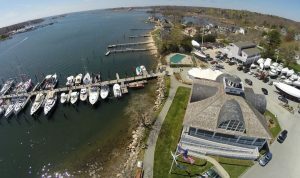 The historic community is rich in maritime tradition and is known for its high quality of life, drawing visitors each year for the boating, world class sailing, beaches, cultural attractions, museums and scenic New England villages. Individuals interested in a career at JMS should send a résumé with cover letter to hr@jmsnet.com. The cover letter should concisely describe experience related to the task description above.